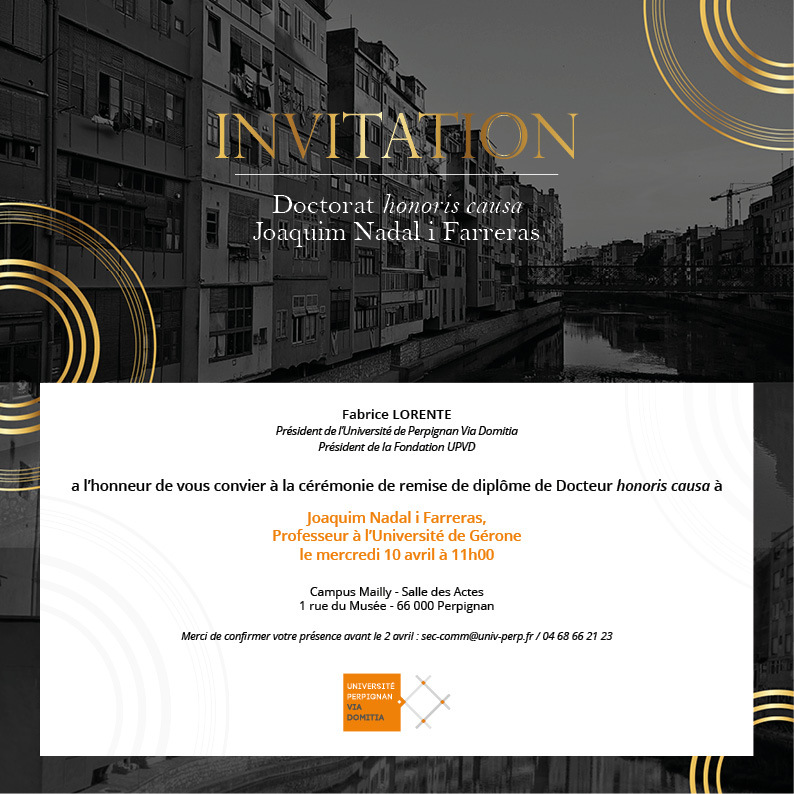 Academic act of investiture as Doctor Honoris Causa of Professor Dr. Joaquim Nadal i Farreras, Professor Emeritus Professor at the University of Girona and Director of the Catalan Institute for Cultural Heritage Research. The event will take place on Wednesday, April 10, 2019 at 11:00 a.m. at the Maily Campus Auditorium of the University of Perpignan Via Domitia. To confirm attendance, you must send an email to sec-comm@univ-perp.fr, before April 2, 2019.